I just spotted that within the last week I published my 200th post on Learner Mama. Wow! I can’t believe it. I was thinking I really should celebrate with a little giveaway and then, as if by magic, I was contacted by WaterWipes to see if I’d like to host a reader offer. Many of you may know WaterWipes baby wipes brand but this is one for the Mammies! WaterWipes now have Sensitive Make-Up Removal Wipes, made with 100% natural skin friendly ingredients for easy one-step, on-the-go cleansing that also soothes and revitalises stressed-out skin. WaterWipes are the World’s purest facial wipes – no sting, no skin-tightness and no chemical residue. With a few simple sweeps, WaterWipes gently remove every last bit of make-up and grime, plus they’ll leave skin feeling pure, fresh and detoxed. WaterWipes facial wipes are suitable for all sensitive skin types and are approved by Allergy UK. WaterWipes have given me not one, but TWO prizes of a 12 month supply of this fab new product. As much as I’d love to keep one supply for myself, two of my lucky readers will win a 12 month supply each. It’s easy to enter via the Rafflecopter form below. The competition, open to Irish residents, closes Saturday August 15th 2015. I will draw a winner using Random.org after that date and announce the winner here. The winner will be asked to supply their postal address. Disclaimer: This is not a sponsored post. I was offered two prizes from WaterWipes to offer as a Reader Giveaway. While some of this competition is hosted on Facebook it is in no way sponsored, endorsed or administered by, or associated with, Facebook. How exciting! I love the baby wipes so I’m sure these are great! I use wipes for so many things, very useful prize! Great prize on offer. I never realised before children how useful wipes were. For someone who is 6 months pregnant and trying to get myself prepared for Baby, this is an amazing giveaway!!! Oh my, fab giveaway! Thanks for opportunity! Great competition, have been using water wipes already, would love to try their new makeup removal wipes please! Would be great to win! fantastic blog and giveaway…I use water wipes for everything! 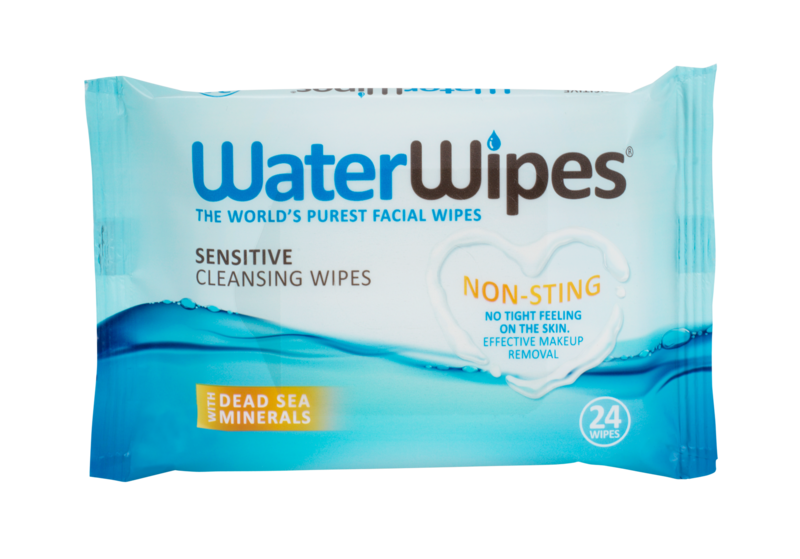 I love that Water Wipes are so natural and safe to use on your skin! Would love to win something for myself!!! Wet wipes are always so useful. These wipes are fab, i had a sample of them from the Baby show and was really impressed! Oh, how did I miss this, names in the hat now, fingers crossed! I really hope I win these, these are the only wipes I’ll use on my son so it would save me a fortune! Such a handy Giveaway ?? Fingers Crossed ?? What a fab competition. Heard so many great things about water wipes. I don’t like using wipes that contain too many chemicals so I’d love to try these. My girl is allergic to wipes usually so we have to use cotton wool and water this would probably change my life!